The fall season presents the perfect setting to prepare your home for the colder months to come, with the not too hot days, cool breezes, and not to mention the outdoor scenery. There are many home maintenance items that should be addressed in order to make sure your home is running as efficiently as possible in terms of energy consumption, heating, and overall preparation for the upcoming winter. Because summer is a time for outdoor fun, all sorts of dirt and grime get tracked onto your carpet. Experts recommend at least one annual cleaning by a professional company to prolong a carpet’s useful life, and the fall season is the perfect time to schedule that task. Preparing your gutters for winter is such an important part of home ownership, and will help to lessen leakage and prolong their life. Gutters blocked by dead leaves and other debris can overflow, which may lead to serious damage to a home’s roof, walls and even the foundation. 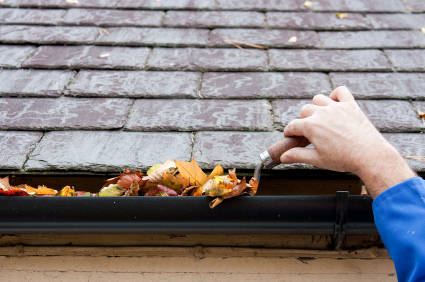 Start by scooping out all debris, then spray the gutters clean with a hose. You can also purchase gutter covers that will help to prevent further debris and leaves from falling into the gutters, lessening the need to clean them out in the future! Fall is the perfect time to check and replace HVAC filters, as it improves air quality and promotes better air circulation. This is something you can do yourself as a homeowner, or you can call an expert to come to your home to check and clean them for you. Not only is this task important for the energy efficiency of your home, but it will help to promote better overall health. Many people move their indoor house plants to their porches and decks during the spring and summer in order to add visual appeal to their outdoor living space. During the fall, the nights could get cool enough to damage those plants that are not suited to cold weather, so now is the time to start thinking about bringing them back indoors. 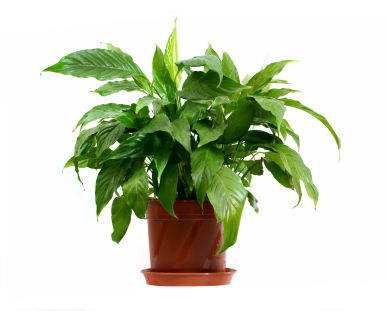 Houseplants also promote healthy living in that they improve the quality of the air you breathe. As the leaves start falling from the trees, leaving them to accumulate on your lawn can deprive the lawn of crucial sunlight. If the leaves accumulate and become wet, they can actually lead to mold growth and create an unpleasant odor. Another option is to mow over the fallen leaves which provides the lawn with additional nutrients. Items like grills and patio furniture can start to deteriorate or rust if left outside over winter, especially the closer to the coast you are. Experts suggest storing these outdoor items in a shed or garage, or covering them tightly with a waterproof tarp if you don’t have the space to bring them indoors. Preparing your home for the cooler months to come is an essential component to home ownership, as any maintenance tasks you perform will help to prolong the life of your home. It is important to be aware of the toll that the cold can take on your home. 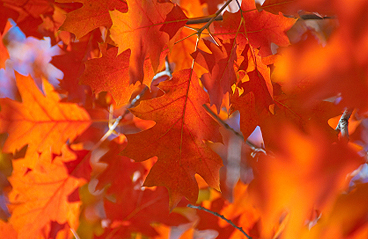 What other fall home maintenance tips do you have for homeowners?